This easy to use guide has the answers to all your recycling questions. What do you do with your old mobile phone? Where can you take your old medicine? What happens to the stuff you recycle? 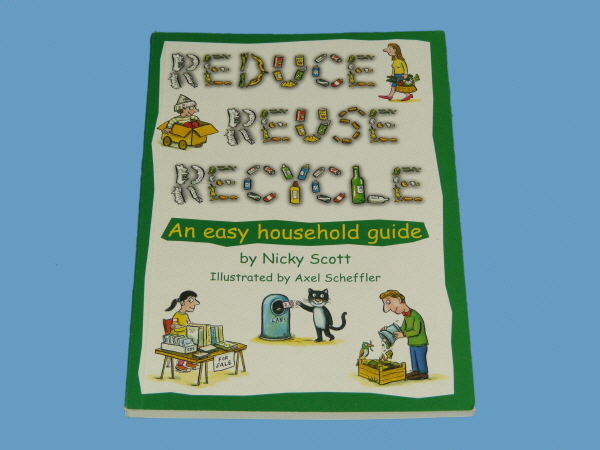 Use its A-Z listing of everyday household items to see how you can recycle most of your unwanted thins, do your bit for the planet, and maybe make a bit of money while you're at it, Reduce, Reuse, Recycle is also packed with ideas for cutting your consumption and reducing your rubbish, With a comprehensive resources section and information on getting more involved, it's an invaluable guide for anyone who wants to slim their bin and help stop the earth going to waste.